This information provided courtesy of Helen Danforth from her book &lt;A Tale of Two Cabins&gt;, published by Pioneer Farm Museum. If people are interested in learning more about the Ohop Valley and pioneer history, they should contact Pioneer Farms. When the first settlers entered the valley, the Ohop Valley was thick with tall cedar and fir trees overhead and swamp underfoot. Immigrants, primarily Norwegians, began clearing out homesteads. Torger Peterson was the first Norwegian settler in the area and called the valley home after searching many areas along the Puget Sound for plentiful farmland. He was also instrumental in creating the Mountain Highway (Highway 7), the road to Mount Rainier. Not far from the valley, other settlers came to homestead. Some of the first settlers were Robert and Julia McClimans who left Kansas for the possibilities of the West. They settled on a homestead claim near Cranberry Lake, located about twenty-five miles south of Tacoma. Nearby old-growth cedar was used to build their house without nails. Some distance away from the McClimans' homestead, another family decided to start new in the Ohop Valley. Orsamus and Mary Stubbs built a home near Tanwax Lake. 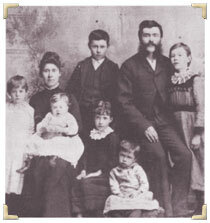 Mary Stubb's father and brother were influential in bringing formal schooling to the children in the area. In 1889 the Ohop School opened near Ohop and Clear lakes, one of the first schools in the area, and William Wallace was elected as school director for a two-year term. The settlers also shared the valley with the Native Americans in the area. Indian Henry, a Klickitat Indian, or Soo-Too-Lick, as the settlers called him, was a popular person with the settlers. He established a home on Mashel Prairie in 1875 and was a successful farmer. Outside the Ohop Valley, settlement was also occurring. In 1884 Dr. Warren agreed to settle the town site of Roy for James McNaught who purchased the land earlier. 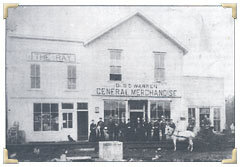 Warren built many of the town's structures, a drug store, hotel and home, while continuing to assist newly-arrived settlers and practice medicine. The Indians living on the Nisqually reservation were impressed with his work. Settling in the area was not always for agricultural reasons however. James Longmire recognized the value of Mt. Rainier as a tourist attraction. In 1883 Longmire discovered mineral springs bubbling out of the ground. He built bathtubs and bathhouses of cedar and started work on a hotel which all became an alpine spa. Soon tourists came wanting to visit Mt. Rainier and Longmire provided the means, conducting three-day saddle trains from his homestead to the mountain. John Muir visited Mt. Rainier in 1888, staying at Indian Henry's for the night before setting off on the three-day trip. In 1889 T.C. Eaton arrived in the Ohop area to create a town. Eaton supervised the construction of a trading post, hotel and post office, and he also organized a baseball team. The Indian and Scandinavian boys played baseball together on the Mashel prairie field. Salmon bakes and potlucks were also held on this field by the Indians and settlers. Indian trails provided the means of traveling throughout the South Pierce County area, but eventually these trails became roads and horses became stagecoaches and wagons. Goods were carried on the stage-line, which originally was the trail Indian Henry used to carry his produce to market. Eventually this stage-line would evolve into State Highway 161 which still used today. 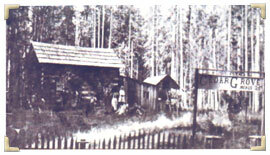 The history of the Ohop Valley is preserved in the Stubbs' and McClimans' cabins located at Pioneer Farm near Eatonville. Here, these cabins are restored to their original appearance; the Stubbs' unaltered cabin is believed to be the oldest in Pierce County. Roy—settled in 1884 on land purchased by James McNaught. Eatonville—founded by T.C. Van Eaton in 1889. The newspaper Independent published in Vancouver noted on January 3, 1884 that "Indian Henry raises a large quantity of produce which he brings out to market on the backs of his ponies. He raises wheat and oats and all kinds of vegetable; besides, he has a large band of horses and a large number of hogs." There is also a story passed down that every year Indian Henry and the settlers would hold a barbeque and salmon bake and play baseball. The Native Americans thought the pioneers smelled bad and were offended by their odor. Homesteading families made money from tourists, primarily from Tacoma, going and visiting Mt. Rainier. Highway 7 was called washboard road. The road was built by felling trees into the road and covering them with dirt. However, the rain would wash the dirt away, leaving the trunks exposed. All the pioneer settlers were homesteaders, filing claims for 160 acres which required they live continually on and improve the land for five years. The Ohop Valley would flood with each rainfall. The settlers didn't realize that their farmland was a swamp. 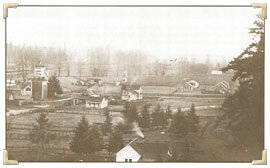 In 1889 twenty-two settlers obtained permission to divert the valley water to Ohop Lake, then into Kapowsin Lake, and finally into the Puyallup River. These waters were alive with salmon in the fall. In order for Mr. Torger Peterson to get the wagons down Ohop hill, he brought three hundred feet of one inch manila rope and tied it to the hind axle of the wagon and lowered the wagon down since the hill was so steep. Clearing one acre a year was good progress in creating Ohop Valley farmland. Many times beaver would come form the swamp and dig the farmer's crops at night.